Mexican Presidential Candidate Campaigns in California! RUSH: I want to read you the first paragraph of a news story that just moments ago crossed the international news wires, to which of course we subscribe here at the EIB Network. Are you ready? “A presidential candidate was barnstorming across Los Angeles over the weekend, reaching out to Mexican migrants, blasting President Trump and calling for protection for illegal immigrants.” A presidential candidate? Who was doing this? Snerdley, give me your guess. What presidential candidate was “barnstorming” LA, “reaching out to Mexican migrants, blasting President Trump and calling for protection for illegal immigrants”? What presidential candidate…? (interruption) No, actually this is a candidate running for the presidency of Mexico, campaigning in Los Angeles! I am not kidding you! 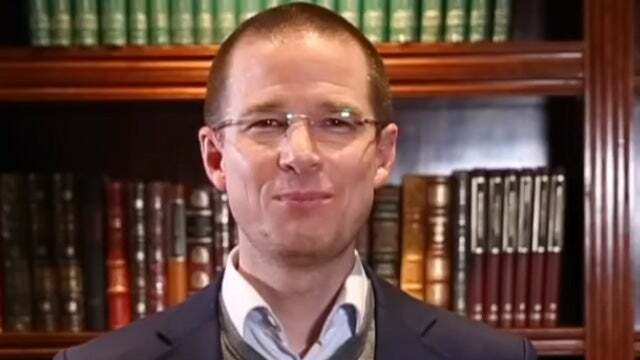 “According to Mexican newspaper Excelsior, Ricardo Anaya Cortes met with businessmen and activists in Los Angeles — which has a large Hispanic population.” Did you know that? Did you know that LA has “a large Hispanic population?” Because it says that here. “Among those he met with was Obama-era Department of Homeland Security chief Janet Napolitano, now the president of the University of California.” A president candidate from Mexico is fundraising in Los Angeles (laughing) and campaigning for votes in Los Angeles. (laughing) I know it’s not funny, but it is. RUSH: This is Ben in Central Valley, California. Great to have you, sir. How you doing? CALLER: It’s an honor to speak with you, sir. I just wanted to mention, the reason Trump is succeeding and the rise of patriotism in this country is while the left focuses on stealing our dreams and giving them to criminal illegals, Trump is focused on American dreamers. I was in a meeting with Jeff Sessions on Wednesday where he announced the lawsuit here in California to go after these sanctuary policies, and I work with a group of Angel Parents who have lost their sons and daughters to illegal aliens, criminal illegal aliens. The left doesn’t care about their dreams. This group is… They’re a group called Fight Sanctuary States. They’re standing up and saying, “We want to fight for American dreams again,” and that’s the beauty of what Trump’s doing. Whether it’s steelworkers or whether it’s families who have lost their siblings and their sons and daughters, the American people are seeing that the left doesn’t care about their dreams and that Trump does. So seeing that firsthand and seeing the left here, immediately afterwards, starting to go after and attacking the president and attacking the administration and giving us more examples of criminal aliens in our country as the answer? We look at that and say, “No, we’re done with it.” So I believe there is a rise of patriotism across this country that is gonna sweep across this country. I believe there’s a potential for landslide midterms. And again, for me, the big thing is, you know, standing up for American dreamers again. RUSH: You have nailed it. RUSH: Trump is standing up for people who have been forgotten or taken advantage of for 30 years, and in particular, Democrats, but it’s basically the Washington establishment, which has taken those people for granted as voters. You know, they’re paid attention to every two to four years when it is time to campaign; then they’re ignored, you know, after they do their duty and vote for whoever. Were you actually at the law-enforcement meeting in Sacramento where Sessions was? CALLER: I was. I was able to ask him as he was leaving — I was a fly on the wall; actually Facebook Lived the whole thing. As he was leaving I said, “When are you gonna start making arrests against the mayor of Oakland and against Jerry Brown?” He didn’t actually answer that question, but it was an honor to actually be in the meeting. And if I can ask…? Can I ask one favor? CALLER: I want to say — invite people, if you care about American dreams and the dreams of American citizens that have lost loved ones, I work with Angel Parents, go to FightSanctuaryState.com. 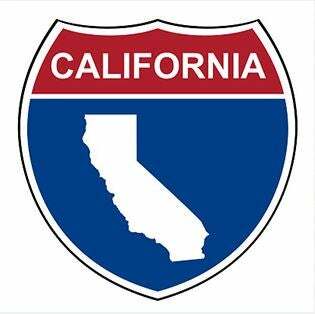 Whether or not you’re in California or not, if we can kill this cancer in California, it helps the entire country. I praise Sessions. I’m not a huge fan of his but I’m thankful that he’s finally stepping up. But I am a huge fan of our president and I am an enormous fan of yours. RUSH: Well, I appreciate it. Look, you’re taking on something monumental, or a taking on the state of California from a decidedly minority position going after sanctuary states and cities, so God bless you. I hope you get some response to your website out there for people to help out, ’cause I’ll tell you this. I can’t remember where I ran into this, but it was something I read, and it was similar. Sessions or some administration person was somewhere. Anyway, the nub of the story was is that even the Trump administration may not understand how many Americans are so fed up with the Clintons getting away with everything they’ve gotten away with, from Benghazi to Uranium One to this Russian mess, that these “lock her up” chants are more than chants. The American people who voted for Trump are really fed up with what has happened in the last 20-30 years, people in the establishment literally getting away with breaking the law. They’re never held accountable. I mean, people want Lois Lerner on trial. People want people in the Obama administration — Fast and Furious, all these things. People are fed up that this stuff happened and that the people involved are not even prosecuted or accused, and it’s something that’s very real. I don’t know what percentage, but there are probably more than you would realize, Trump voters who thought that was gonna be part of the Trump agenda. These are people have been screwed over for I don’t know how many years — and we’re all in that group in one way or another. I mean, Lois Lerner screwed over the entire conservative amusement and got away with it. I mean, they’re literally breaking the law. This stuff that’s happening with Russiagate is one of the biggest hoaxes, scandals, scams, and there isn’t anybody that’s gonna be held accountable for this. It’s got people riled, understandably so. The Clintons are probably at the top of that mountain, but they’re not alone in people who’ve engaged in criminal activity that a lot of Americans want to have to face the music, like any of the rest of them would if they had been involved in similar things.